Pls help in translating the wordings on the box. If possible the year too. Phra Somdej " Phim NeeYom "
TQ bro Chaiyo. However due to my poor knowledge, what does all this mean? Somdej I understand, Phim NeeYom? Any bro can tell me more of this amulet? and year? The date is not indicated on the box . Once again TQ bro Chaiyo. BTW is there any significance for mentioning "turtle cracks"
It's was written on your box . Well well well, then I have been assuming too much. 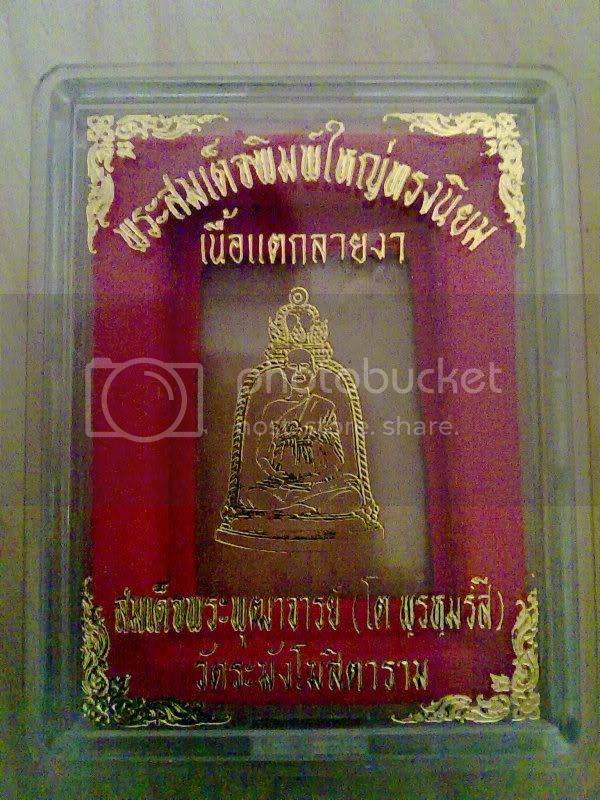 The amulet in the box do not have any crack looks at all and this piece was given by a monk!!!! Unless he was just using the box for presentation. I think i better post the pic for all to see. To all bros/sis, Kindly go to this link and id if possible.